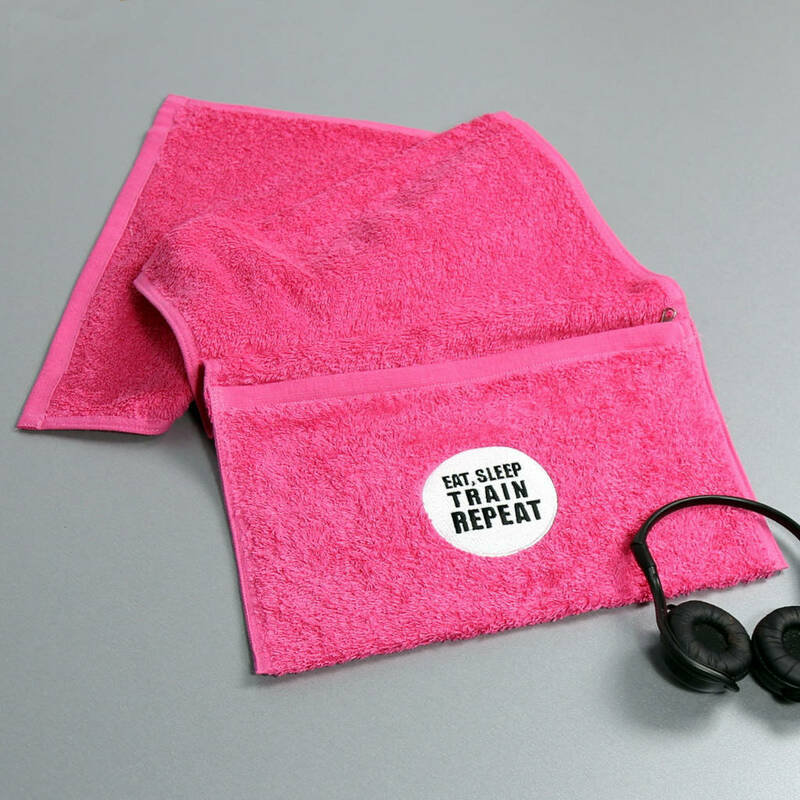 A luxurious quality gym towel - The perfect gift for the workout enthusiast. 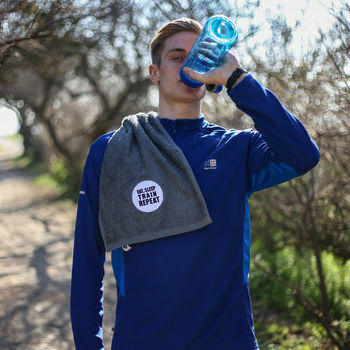 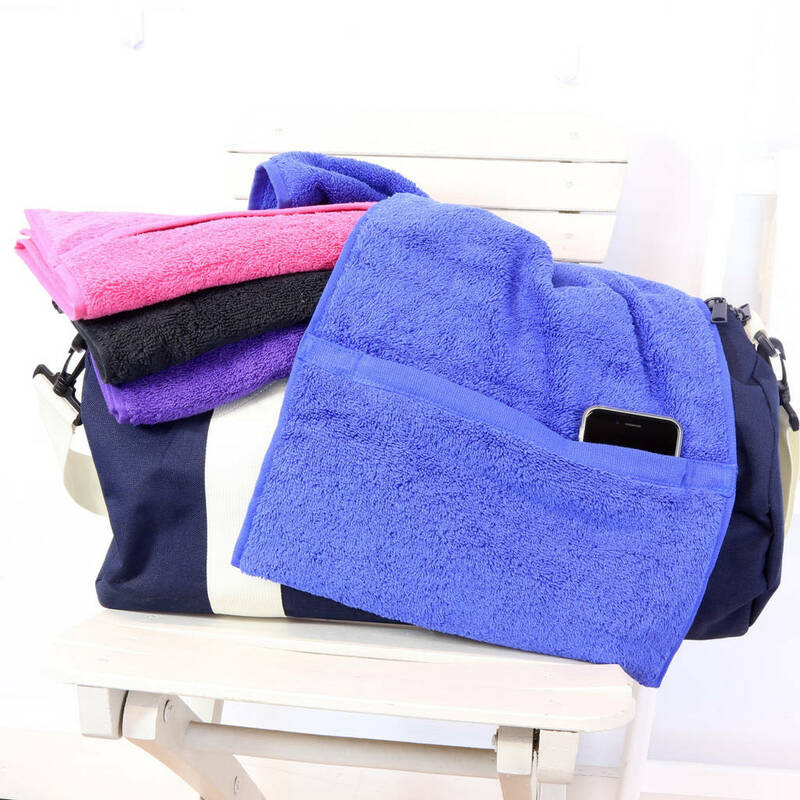 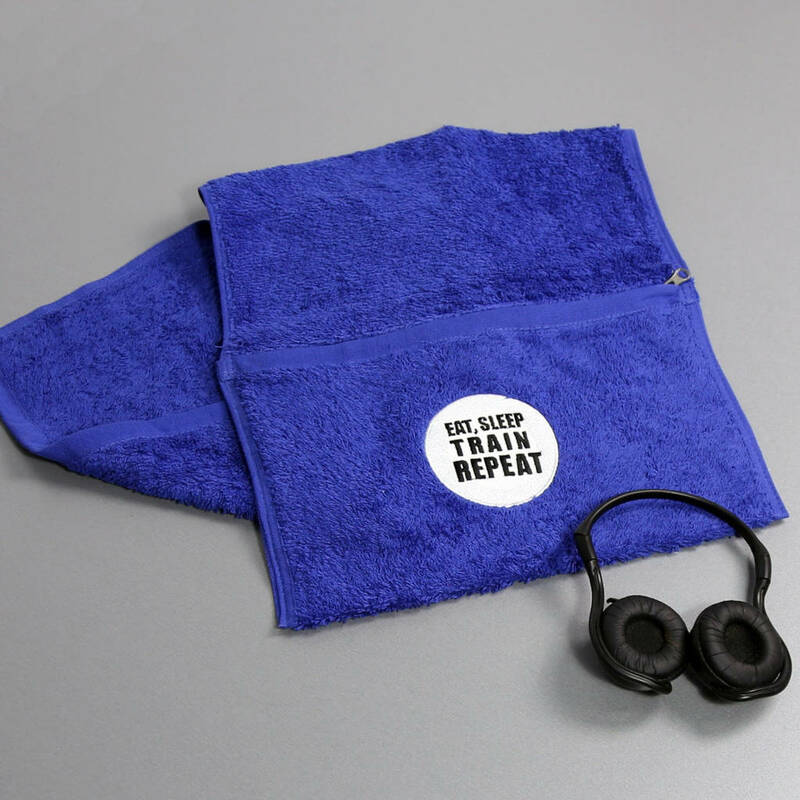 With the perfectly sized zip pocket for your keys and phone, this 100% cotton gym towel is an ideal gift for a gym enthusiast and will give peace of mind knowing that your valubles are safe and sound with you. 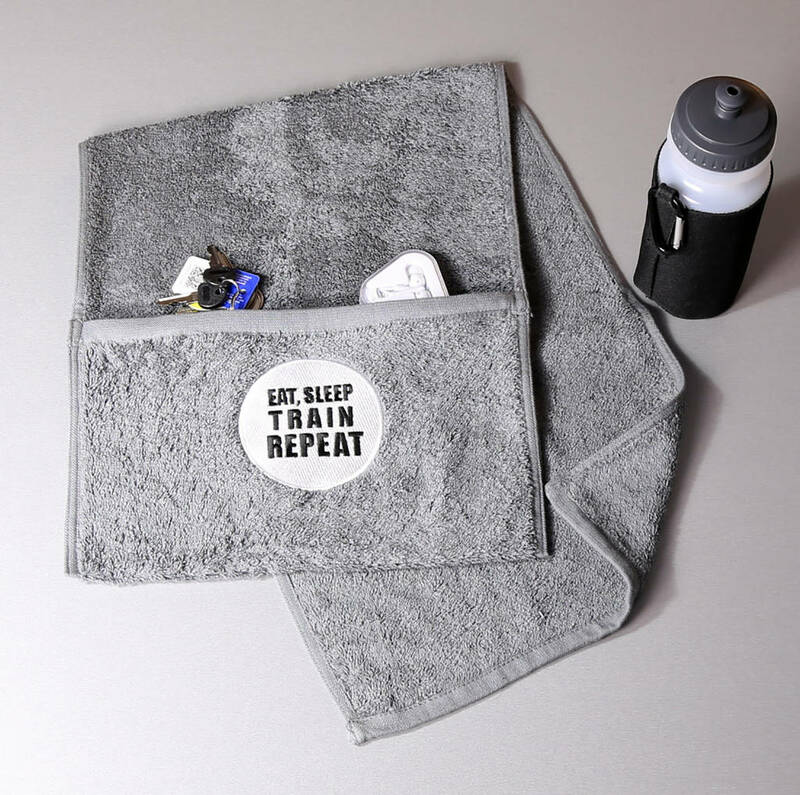 Handily sized to fit in your sport bag, use your Gym Towel in the gym, on the bench or during extreme class workouts. 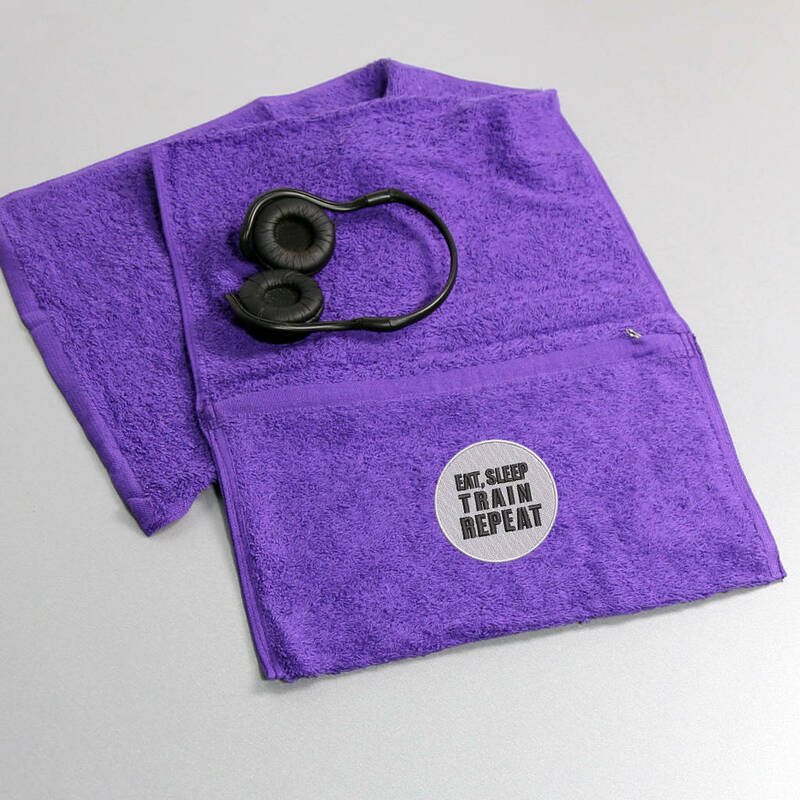 All embroidery is done by our small team of skilled craftspeople at our Sussex workshop. 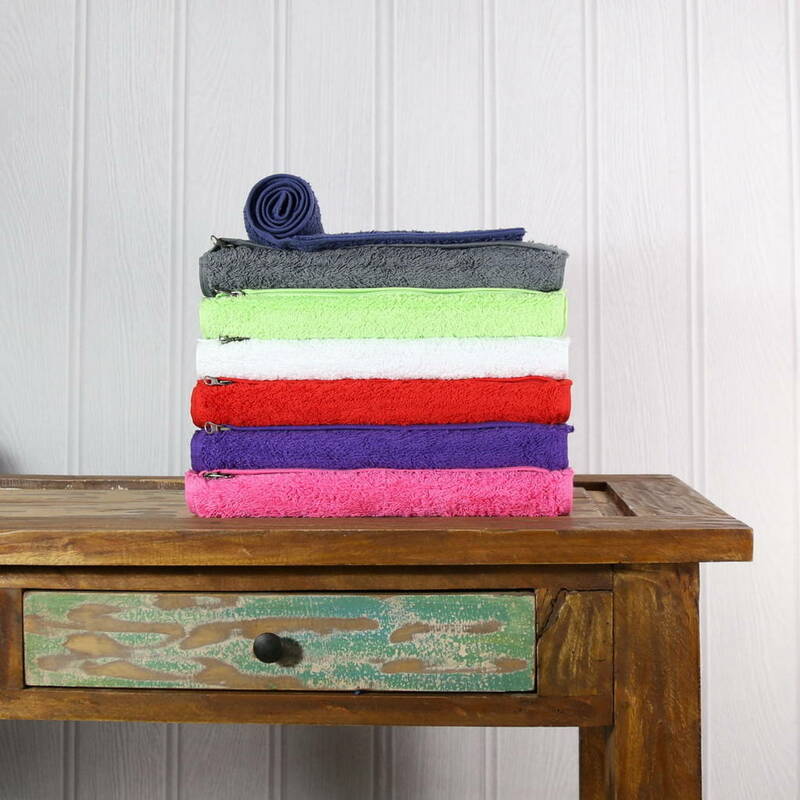 Available towel colours: black, Red, Pink, Grey, Royal, Lime, Purple or White.